Credit cards, those shiny pieces of plastic almost feel magical. A tap, a swipe, or a few clicks is all that stands between us and whatever it is we are buying. But the magic of the moment comes crashing down fast when the bill arrives, until we realize that a minimum payment is all it takes to get back to our shopping. These numbers are staggering! The minimum payment will decrease by pennies each month, and that’s only if you don’t use the card until it’s paid off. If this feels like the forever plan, it may as well be. The minimum required credit card payment is merely enough to maintain your contractual payment; it will not get you out of debt any time soon. Take a careful look at your credit card statement. All credit card companies doing business in Canada are required to disclose on a monthly basis how long it will take you to get out of debt if you only make minimum payments. Shocked by what you see on your statement? Minimum payments are typically based on about two per cent of what you owe. This percentage has decreased over the years and some cards are closer to 1.5 per cent minimum payments. Many people jokingly call this “the never-never plan” but it is no laughing matter. By only making minimum payments, you will be in debt for a very long time and pay a lot of interest, especially if you keep using the credit card while you’re trying to pay it off. When you look at minimum payments strictly from a terms and conditions perspective, this is not a myth; the credit card company does determine the minimum required payment each month. However, from a budgeting and money management perspective, that one word “minimum” is the key. Does this sound a little too good to be true? Based on what you can afford, you can determine how much of a minimum payment you need to make in order to reach your goals. The only stipulation is your amount must be at least as much as what the credit card company requires. When you look at your credit card statement, it shows you what your minimum monthly payment must be. However, that payment does not need to be made all at once. As long as you pay at least that much before the next due date, you have met your contractual obligation. You’ve likely heard about accelerated mortgage or loan payments – the same applies to credit cards. You can make several payments, e.g. based on when you receive your pay cheques, within a billing cycle that total at least as much as your minimum required payment. This means that with each payment you are paying less interest on at least a small portion of what you owe. While you might not see this benefit add up quickly, in the long run and/or with large balances, it will add up over time to your advantage. One of the best tips for getting credit card debt paid off fast is to figure out what your household budget is, and then determine how much extra you can pay towards your credit cards. Even if it’s only an extra $30 each pay period, set up an automatic payment at your bank or credit union and have the money paid to your credit card before you get a chance to spend it. Setting up a small amount extra with each pay that goes directly to your credit cards is better than paying a little extra when you have it because let’s face it, when do we have extra cash? 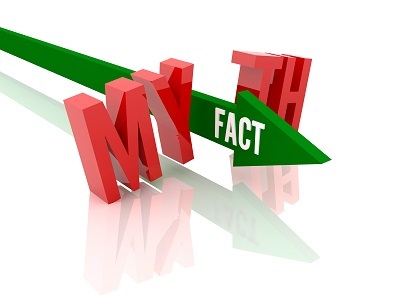 To find the answer to this myth that applies to you, you will need to check the card holder agreement for each credit card you have. Regular as well as extra payments you make to your credit card are not always applied to the oldest item first, just as interest rates vary depending on how you use your card. There is a specific order in which payments are applied and it’s worth ensuring you understand how that works. If you need clarification, contact the customer service department of your credit card company (there is usually a phone number on the back of your card) and ask them to explain it. Whether your credit card is a friend or foe, it comes down to how you use it that matters. Most of us have very little of anything truly meaningful to show for what we purchase with our credit cards. I’m reminded of this every time I check over my monthly statement and see purchases I hardly have any recollection of making. Rather than let a credit card company determine how long you’re in debt and how little you must pay, take control. Credit cards are a costly form of credit so paying them off as fast as possible frees up cash to spend towards other goals and dreams.